The Snapchat logo is seen on the door of their headquarters in Venice, California. If you’re not already familiar with Snapchat, you should get acquainted. Snapchat is a mobile photo-messaging app that allows users to take photos and short videos that remain viewable to recipients for approximately 10 seconds; after that, the “Snap” disappears into the dark tubes of the interwebs, never to be seen again. If you’re hosting or taking part in live events (grand openings, anniversaries, trade shows, charity events, etc. ), then Snapchat is a great tool to leverage. It gives your audience members direct access to your live event, no matter where they are. The NBA used snapchat in this manner during draft picks, All-Star games and finals. During the 2014 All-Star Game, the Association launched its brand on Snapchat, where fans were able to get up close and personal with players during the game. They also got tight Snaps of the game’s Slam Dunk Contest. Tease new products to your fans. Some brands still worry that social use can be self-destructive and lead to a host of problems with managing user engagement. But others are jumping in, because marketers can make a serious impact with product launches using apps like Snapchat. Snapchat is an ideal opportunity to start teasing out videos and pictures of new products. Because these images last a few seconds, you can expect a fair amount of buzz and chatter to surge around your new offering. Snapchat can also be used to take your followers beyond raw products and services so you can engage the community more. Take them behind the scenes to show off your company. Have fun, and use the caption and drawing tools within Snapchat to show off your personality and corporate culture. This is a great opportunity to show your fans how different your brand is from your competitors’. If you want to mix it up behind the scenes, rotate control of your Snapchat account among trusted employees. Give them each control of it for a day or so. This adds a great deal of variety and flavor that your fans will enjoy. Just be sure to set some guidelines to keep “bad stuff” from popping up. Snapchat is about as casual as social media platforms can get. Your followers aren’t interested in corporate stuffiness -- they’re looking for color, action and fun. Give it to them. At the same time, you still need to maintain some professionalism due to the nature of the audience. Snapchat followers are younger: according to Snapchat, the average user age group is 12-34. That means “keeping it Disney” with content that is clearly for a general audience. Videos in any medium should be kept short and snappy, and that’s certainly true with Snapchat. Regardless of the medium, your audience is out there looking for brief content to digest while in line, sitting in class or on a short break at work. Feed them brief content and they’ll gobble it up. Snapchat works because the videos you take are limited to 10 seconds. Take that and run with it, because you can make multiple video clips and string them together to tell a story that your followers can go through all at once when they have the time. Here’s where Snapchat can get you real foot traffic if you own a physical business: incentives. Incentives are a classic marketing strategy, and have become an expected staple within social media. Businesses often host giveaways and sweepstakes asking fans to like, retweet, share and comment for a chance to win something big. Snapchat can be used the same way. In fact, an impressive 58% of college students stated they were more likely to buy from a company if they received a coupon via Snapchat. 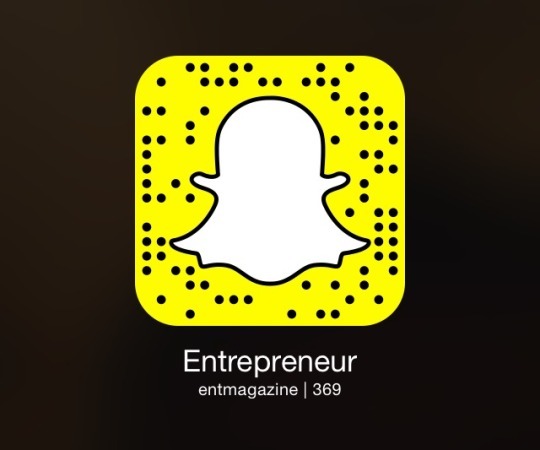 So can Snapchat actually drive customers to your business or to your website? The answer is absolutely “yes.” If you haven’t started using Snapchat as part of your marketing strategy, you’re definitely missing out on the opportunity to connect with relevant members of your target audience. Have you used Snapchat in your marketing? What kind of results have you seen from this increasingly popular social app?